Do You Need A Locksmith? Yes, Yes You Do! When you think about better home security, most don’t think about their local locksmith — but you should! We are the lock and key experts, making us well versed in home, vehicle, and business security. We know that the best security starts with a strong foundation. It may surprise you to learn that the standard deadbolt is one of the best security measures out there — as long as it’s installed correctly, of course. Whatever your security needs, the Job Done Locksmith team can help. 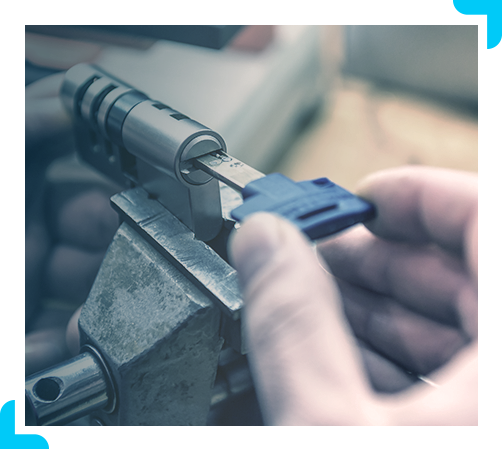 We offer locksmith services from rekeying and key cutting to security system installation, and more. We even offer 24-hour emergency locksmith services for those times you get locked out and need help quickly! Call the Job Done Locksmith team any time, day or night, for professional locksmith services in Washington Park and across Denver. Better security doesn’t necessarily mean a need for more sensors, more cameras, and an upgrade to the latest technology. The most effective security starts with the simplest of foundations: quality locks installed by a professional. While it seems like a small measure, good locks can be a major help in large part because they slow down burglars. When a burglar can’t get in and out quickly, they are more likely to abandon that property and choose a different target — and this goes for residential and commercial properties in equal measure. When you find yourself locked out of your vehicle, it’s only natural to feel overwhelmed. But, not to worry! The Job Done Locksmith team is your local, Denver locksmith team, which means we can get to you in Wash Park quickly, no matter what time your lockout happens. Our mobile locksmith team will come to you, and we’ll bring the tools needed to unlock your vehicle, extract a broken key, and rekey the locks and ignition. We can even duplicate or repair electronic car fobs and transponder keys. That means no need to schedule an appointment and wait for hours at a car dealership if something goes wrong with your electronic car key. Odds are good our car key repair services will also help you save money over going to a dealership, and we’ll bring those services to you! You don’t need to wait for an emergency to call our Denver locksmith team for help. If you’ve got a car lock that won’t turn or a lock that feels loose and jiggly, give us a call and we can come repair or change the lock before worse damage happens — like breaking your key because the lock is so hard to turn! We can also rekey car locks like we can home locks. This makes it so that your car will require new keys to unlock. You never know who might have a key for your vehicle if you purchase a used car, which is why we suggest rekeying the locks on any pre-owned vehicle to boost security. No matter what your need, if it involves a lock and key, we can help, so call Job Done Locksmith for 24-hour locksmith services when you need us! Keeping a business secure poses an interesting challenge because you want to keep your employees and property safe — but at the same time, you don’t want to do anything that could stop customers from coming in. Well, the team here at Job Done Locksmith can help. We provide a range of commercial locksmith services designed to help improve security without impeding your day to day business needs. Our business locksmith services offer a variety of options that are flexible and customizable based on your business’s needs. Whether it’s as simple as a lock replacement or lockout help, or you need something more complex, like keyless entry locks and other access control system options, the Job Done Locksmith team can help. Give us a call today to schedule service and we will work with you to determine the right set of access control, security system elements, and locks for your business’s needs. Your home is where your family lives and most of life’s important memorabilia are kept. It makes sense that home security is an even bigger concern than a business or vehicle. After all, you want to protect all that is important to you! As we mentioned above, good home security starts with quality locks on all exterior doors. A deadbolt lock may be low-tech, but it is one of the best options out there — assuming it was installed correctly. Our Denver locksmiths can come by your Wash Park residence and check your locks, repair a hard to turn lock, replace your locks with a keyless entry system, and more! If you own an older home, give us a call; we specialize in lock repair and replacement that maintains the aesthetic integrity of locks on historical homes without compromising on security. When moving into a home, whether it’s brand new or new to you, one simple way to boost security is to have your locks rekeyed. You never know how many keys were given to contractors or to family members and friends. Rekeying updates the lock tumblers, requiring the locks to use a new key without changing the lock or door knob hardware. And that’s just a simple way we can help improve your home’s security. Give us a call to learn more about rekeying, master key systems, keyless entry locks, and other options we offer to improve your home’s security. If you’re looking for ways to keep your family and your precious possessions safe, start by contacting your local Denver locksmiths at Job Done Locksmith. Call us for anything from a home lockout to home security suggestions!